Nez très intense de beurre noisette, de pâte de coing, de céréales et graines grillés. Bouche joliment ronde, équilibre de fruit intense à la finale acidulé et minérale. 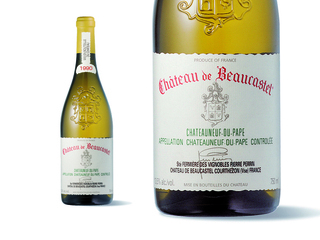 The 1990 blanc exhibits a great deal of strength and muscle in a full-bodied, well-balanced, ripe, heady, nicely textured style. The wine is less concentrated than the 1989, but it is still an impressive mouthful of wine. As I have stated in the past, if you are going to buy this wine, drink it within 2-3 years of the vintage, or be prepared to cellar it for 10 years. It tends to be best several years after bottling, at which time it closes up, not to emerge for 7-8 years. Last tasted 11/94.